This doctoral thesis is situated in the context of large-scale terrain structures within the field of landscape architecture. It builds upon recent advances in mobile robotic systems and digital landscape fabrication. By manipulating terrain with a robotically controlled end-effector, it looks at the organization of spatial relationships and performances within surface structures. Form and process are equally considered in the investigation of shaping loose and granular materials. This research takes a first, but very important step, towards new design methodologies and construction techniques for robotic landscape fabrication. This thesis is part of the interdisciplinary research project ‘Robotic Construction with Found Materials’ supported by the NCCR Digital Fabrication (link). 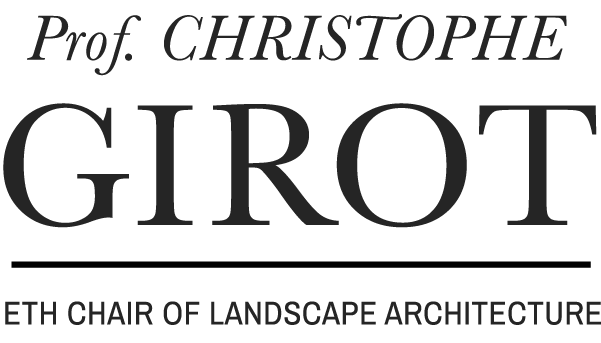 It is a collaboration between the Chair of Landscape Architecture of Prof. Christophe Girot, The Chair of Architecture and Digital Fabrication of Gramazio and Kohler and the Robotic System Lab of Prof. Marco Hutter at the ETH Zurich. The research investigates mobile robotic terrain modeling that provides technologies and topologies for automated landscaping with unprecedented precision using autonomous walking excavators. The robotic platform consist of a robotized walking excavator Menzi Muck M545 using force actuators as a novel approach to planning and control of a robotic system. To leverage the capabilities of the robotic platform, a computational design method for loose and granular materials using advance point cloud modeling will be developed. The research presented here occupies itself with the emerging field of digital landscape fabrication and will explore the design space for advanced robotic terrain modeling. The main goal of this doctoral thesis is to explore the potential of on-site robotic construction methods in landscape architecture and concentrates on specific topological applications using locally resourced materials. 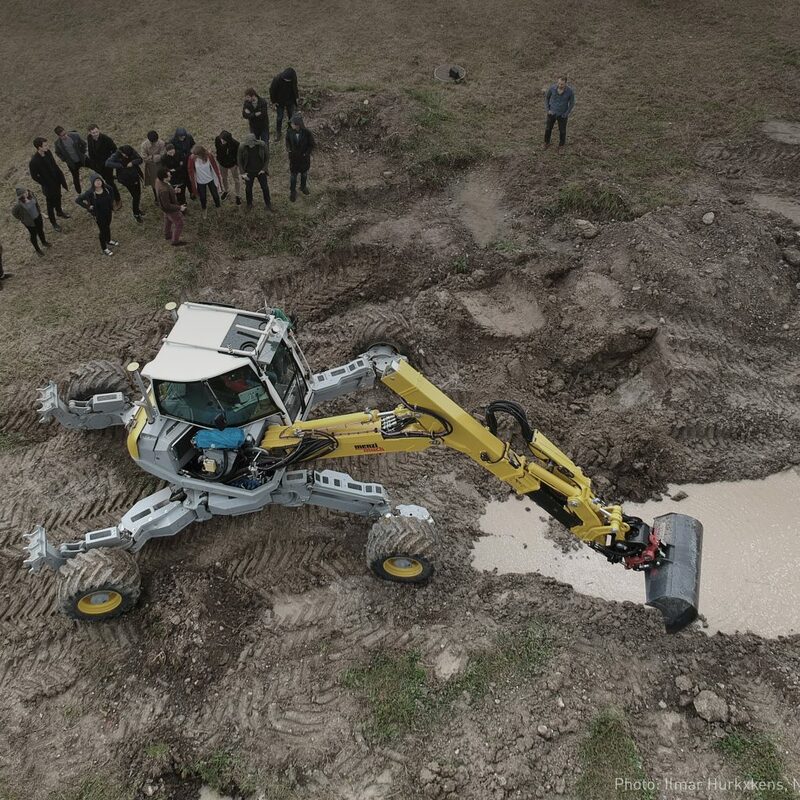 It will develop new design methodologies based on the robotic capabilities of an automated walking excavator. Following topological methods in landscape architecture, this research will explore advanced computational design and construction processes. This approach is validated by experiments in three design research studios and on a new robotic platform that respond to specific tasks for a chosen site. The development of new computational design tools and modeling processes will instigate the architectural potential of robotic terrain modeling specifically, and the larger field of digital landscape architecture as a whole. Automated terrain modeling using mobile robotic systems open up a huge potential for new landscape design by bringing advance prefabrication techniques on site for the first time. As such, this research investigates and identifies the potential of specific topologies of this new construction method for digital landscape fabrication.